Other Publisher Management reviews by real, verified users. Find unbiased ratings on user satisfaction, features, and price based on the most reviews available anywhere. We built PreBid Enterprise with one person in mind: you, the publisher. Our header bidding container allows you to connect with and manage multiple bidding partners easily – and gain more flexibility and control over your monetization strategy. And if you need technical advice, AppNexus’ best-in-class support and analytics teams are there to help you, 24x7. AppNexus Yieldex Analytics offers a complete picture of your data, driving better inventory pricing and operational efficiency. Through increased forecasting accuracy and greater targeting visibility, you can understand your site’s capacity and make better decisions around your inventory. 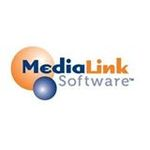 Media Link Software is an ad placement software. It is an easy-to-use system designed to maximize your multimedia ad placements. Nxtbook Media provides cross-platform digital publishing solutions designed to help companies increase engagement and reader experience. 7 Predictive Search Bidding combines big data analysis with high frequency bidding to enhance efficiency and turbocharge customer acquisition profitability. AdManagerPro is a complete, end-to-end, browser-based advertising platform accessible from any location or device with internet connection. Admiral is an adblock analytics and revenue recovery solution. ADvendio is an all-in-one ad sales management solution designed to efficiently handle everything from ad ops to related business finances. It’s your job as a publisher to understand your audience better than your competitors. 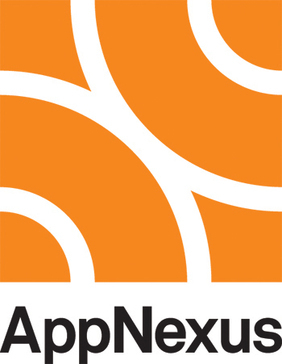 AppNexus Audience Extension lets you translate that knowledge into dollars. By applying your proprietary data and extending the campaigns of your advertisers onto third-party sites, you can help them find your audience and prospect audiences similar to your own across the web. It’s the kind of audience targeting the world’s premier advertisers prize, and it’s a new way for you to reach fresh streams of revenue. BlackMonk helps online publishers to create, manage & monetize portals, magazines, newspapers, business directories, or online communities. eSuite for Publishing & Media. Paywalls & Subscription Management Software for Newspapers & Magazines. Pole Star FM is one of the leading suppliers of asset management and facility management software - CAFM. Our clients include institutes, local government, small, medium and enterprise businesses. Easy-to-use online tools that simplify ad management and boost revenue. Increase productivity, improve access to information and generate new revenue and profits. With publish2profit, you can streamline the management of receivables, produce instant reports, better organize your contacts and scheduling, and strengthen your sales relationships. Sightengine offers realtime image and video moderation API's. Hi there! Can I help you find the best Other Publisher Management solutions?